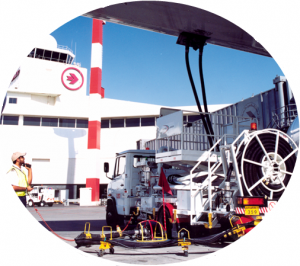 Sole supplier of jet fuel and rated one of the best refueling stops in the region, KAFCO operations at KIA has earned a reputation throughout the years and airline customers are guaranteed with top quality on spec product and excellent service under stringent safety standards. The company delivers more than 800 million litres of Jet A-1 annually at KIA as well as special delivery for the military contractors. 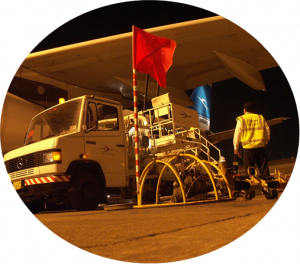 The delivery of fuel to the aircraft is carried out 24/7 on a one-man operation basis which increases efficiency and reduces operating cost. 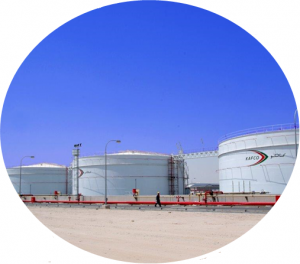 The 140,000 square meter depot is equipped with six storage tanks (Jet A-1) offering a total capacity in excess of 54 million litres enough to service the airlines needs for more than 12 days. Supplies are continually replenished from local refineries via dedicated underground pipelines externally wrapped and cathodic protected to ensure consistent fuel quality. KAFCO refueling fleet equipped with similarly modern technology which enhance operations through the hydrant system at KIA. KAFCO into-plane and depot operations are complying IATA and Joint Inspection Group (JIG) standards and are subject to change parallel with accordance to new released bulletins. Our employees are being trained and refreshed on regular basis to the announced procedures to ensure advanced performance and achieve customers satisfaction.